Remember your first Kwaj bike? Bet it looked a lot like this! 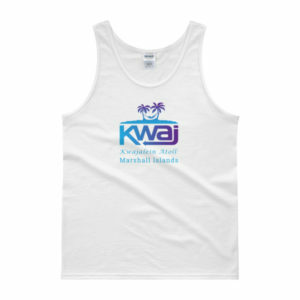 Enjoy these cozy “Kwaj Bike” long sleeve t-shirts in just about any kind of weather and pretend you are riding that old bike down to Emon Beach. This design was created by Michael Bayouth, who co-authored the Kwajalein Vietnam era non-fiction book “Nine Degrees North”, with Kim Klein, an ex-Kwajer. Michael is also a storyboard and graphic artist at Fox Television. This design will be highly collectible!